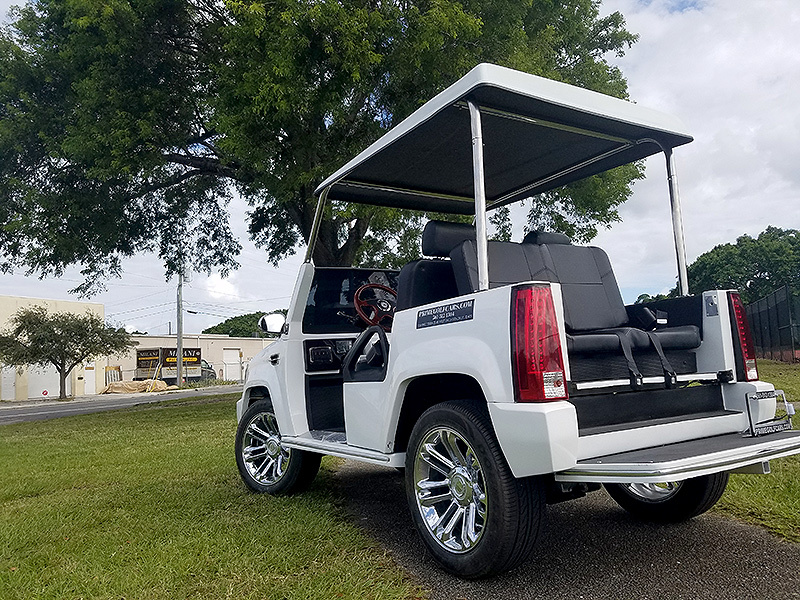 The Cadillac Escalade Limo Golf Car features a Hi-output 17.5 peak horsepower AC motor which is powerful enough to move you and your passengers at speeds up to 25 miles per hour and yet it is efficient enough to deliver a higher range than the industry average. 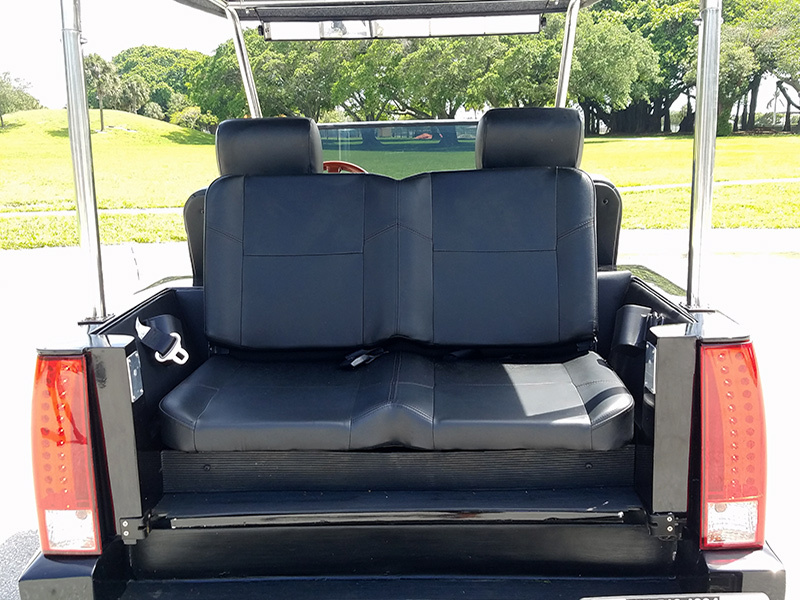 The 2018 4/6/8 Passenger Limos also feature an on-board 12-volt converter that gives you an in-dash power source to power you cell phone or laptop computer. 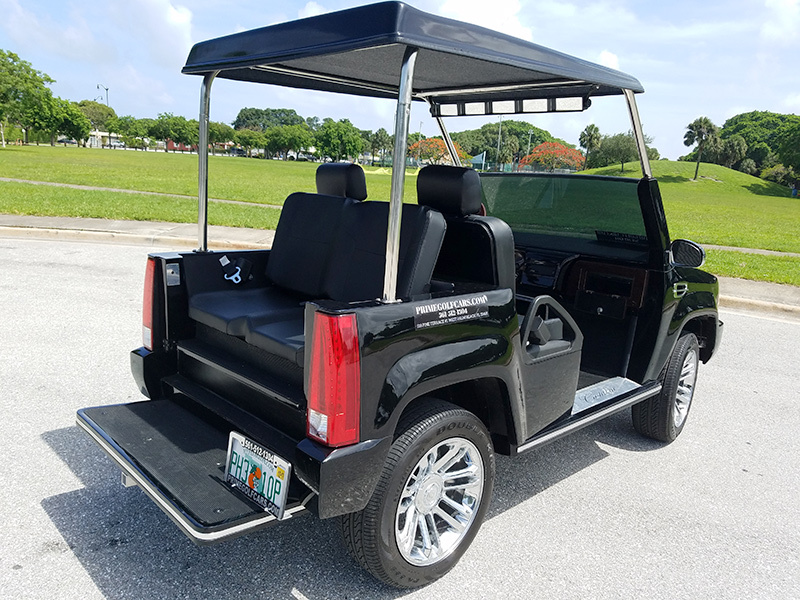 For added safety, the Cadillac Escalade Limo golf car has been outfitted with standard headlights, brake lights, turn signals and a horn. 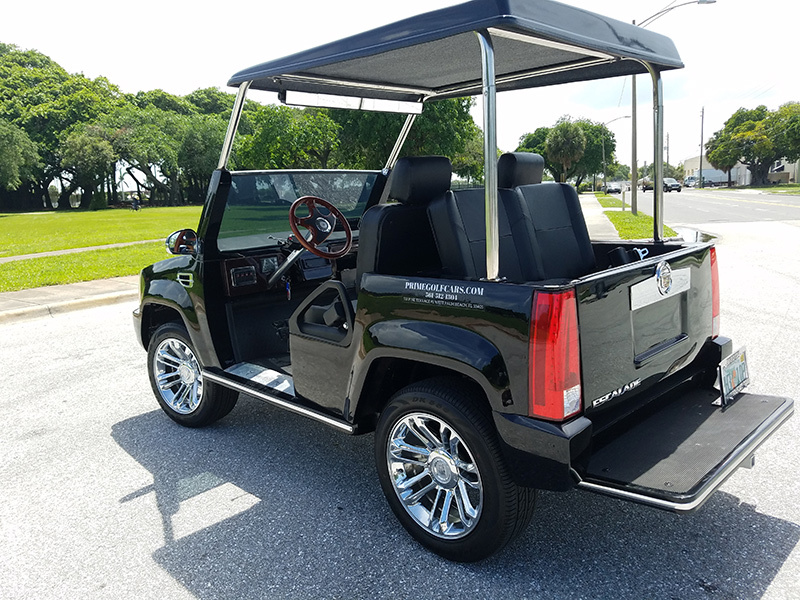 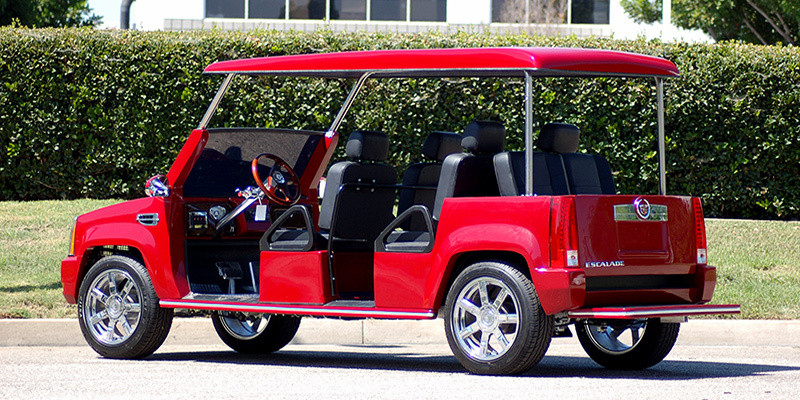 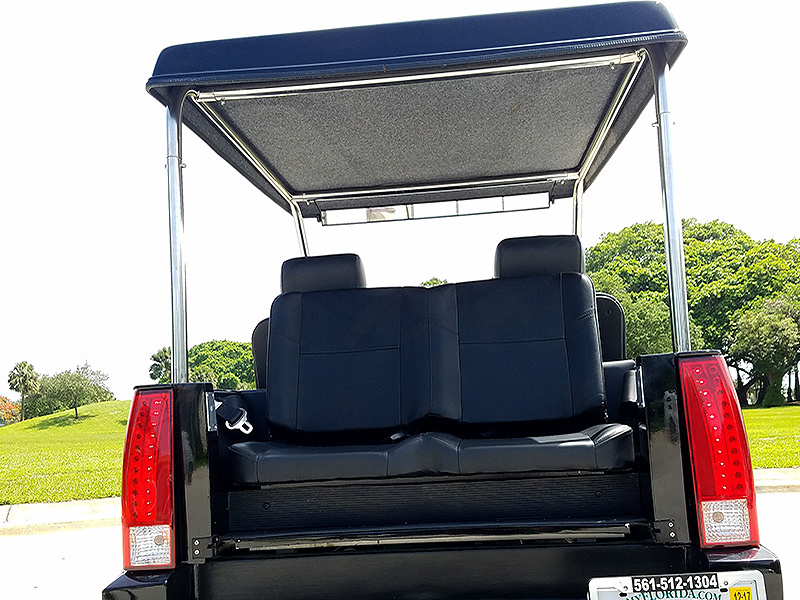 This is the only golf cart to feature a standard 4-wheel braking system, which includes the use of front wheel hydraulic disk brakes. 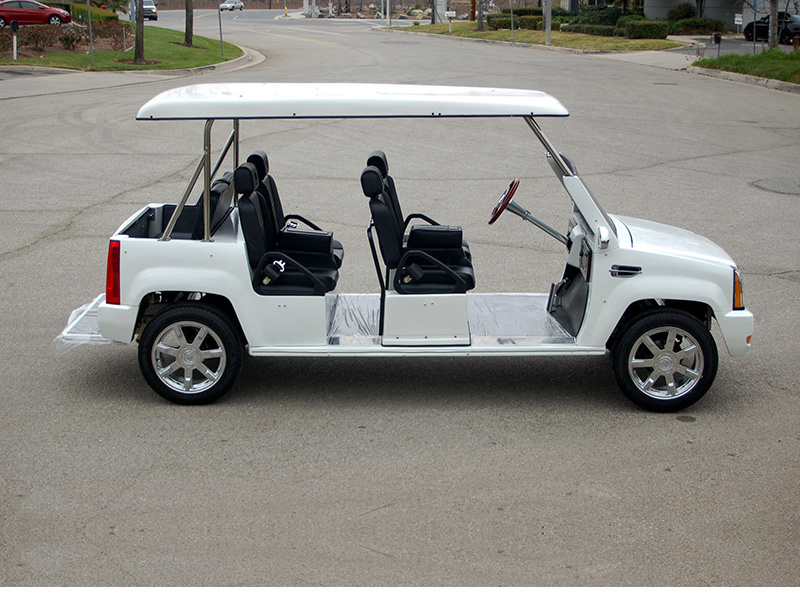 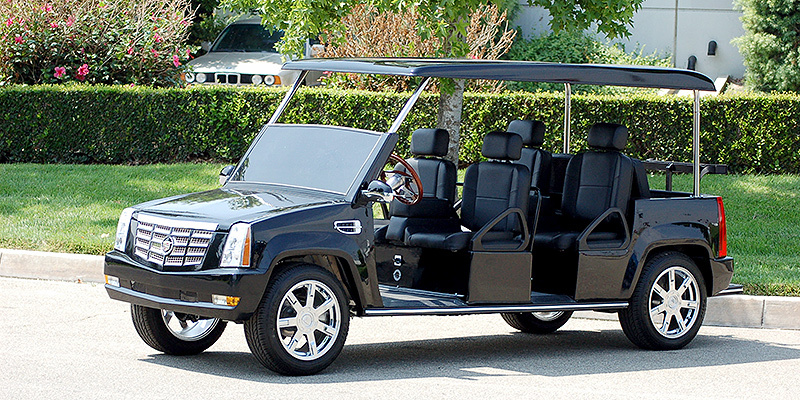 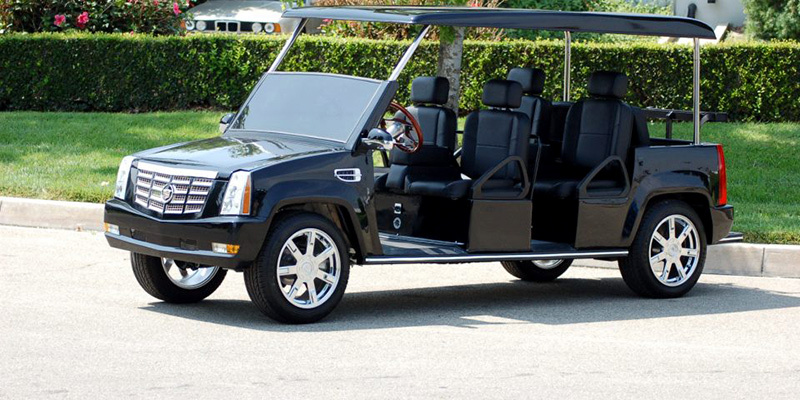 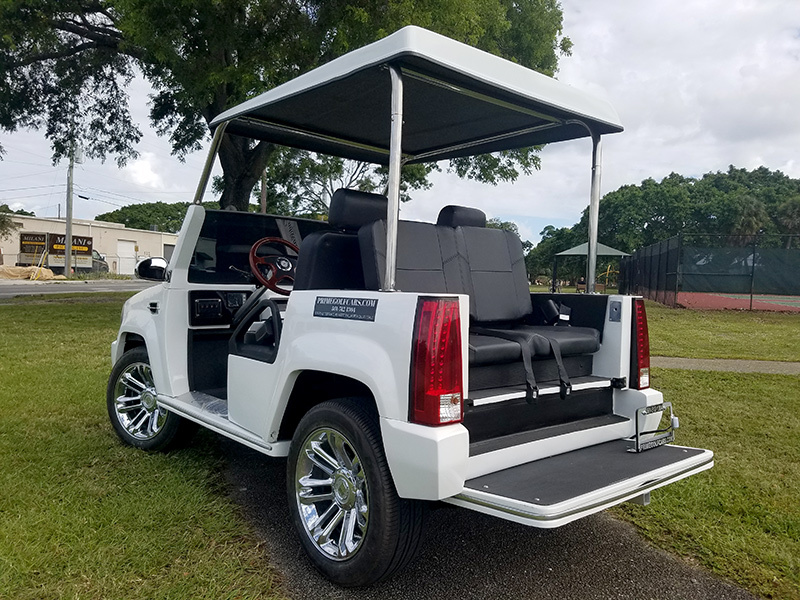 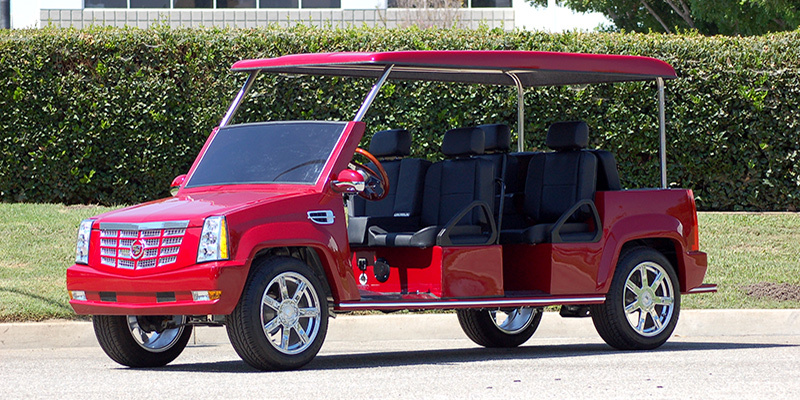 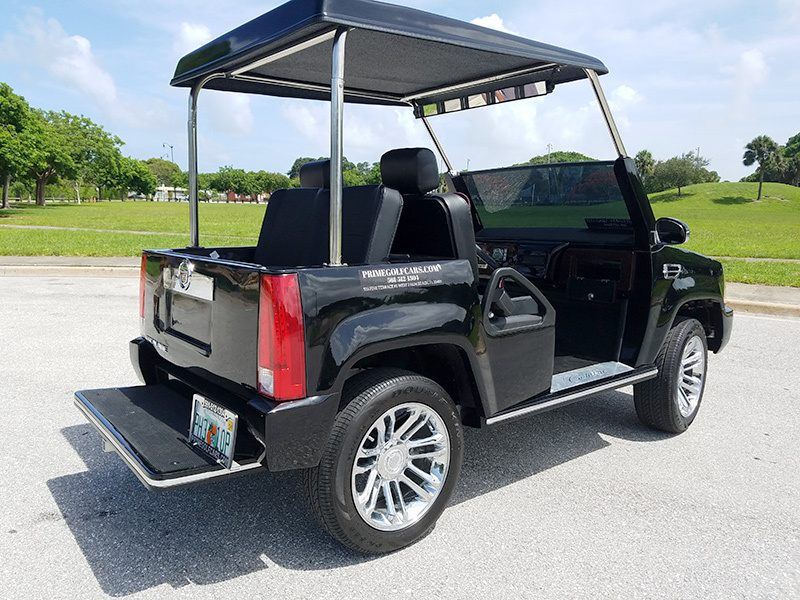 All current Cadillac Escalade Limo Golf Cart model ACG cars are covered by an exclusive 48- month/unlimited mileage 4 year Powertrain Warranty*- the longest available in the industry! 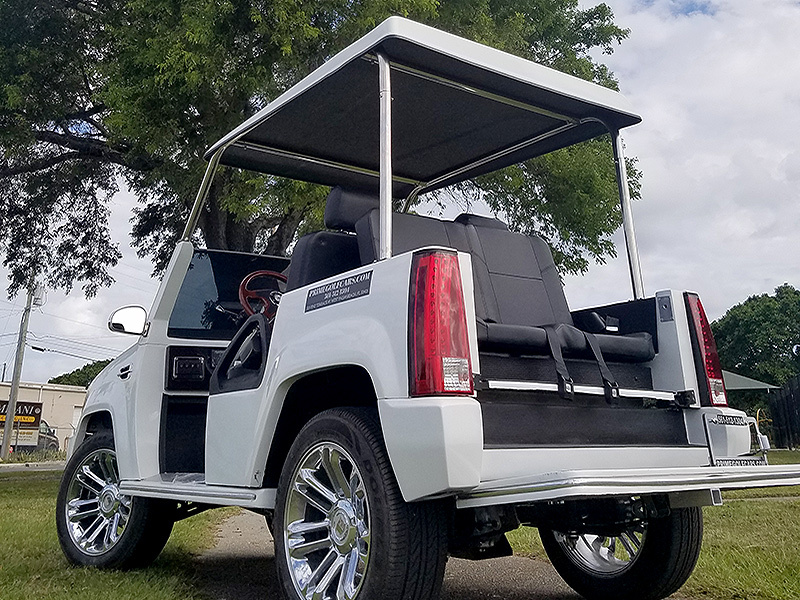 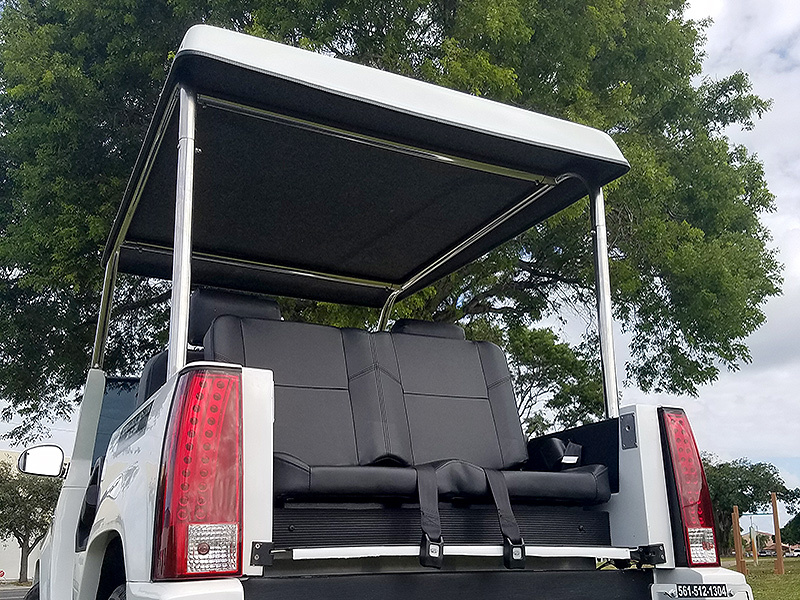 With all of the standard features that have been engineered into the Cadillac Escalade, ACG, Inc. has re-set the bar in the Custom Electric Vehicle industry to a level that has never before been seen and that other companies can only hope to come close to.